Community Action to Promote Healthy Environments (CAPHE) is a community-based participatory research partnership that includes community-based organizations, the health practice community, environmental organizations, and academic researchers. We are working together to develop and implement a public health action plan to improve air quality and health in Detroit. 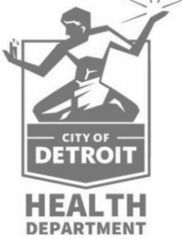 Please take the following survey, which is designed to obtain input from city residents to identify areas for air quality monitoring in the City of Detroit. Click here for more information on the survey. Podcast on the Economic Benefits of Improving Air Quality and Protecting Children’s Health featuring Sylvia Brandt, PhD. Residents of Detroit have been and continue to be exposed to elevated levels of air pollutants. These pollutants have been linked to asthma, poor birth outcomes, and cardiovascular disease. Air pollution is one of the top public health priorities identified by Detroit community members and its leaders. For the past 15 years we have collected data about the state of our air quality here in Detroit. This effort has been a long time coming and will benefit our communities for years to come. This work is made possible by National Institute of Health and Environmental Sciences, RO1ES022616, and the Fred A. and Barbara M. Erb Family Foundation. Additional support was provided by the Michigan Center on Lifestage Environmental Exposures and Disease (M-LEEaD), #P30ES017885.